I.T.E offers high quality manufacturing services to complement our expert design services. We primarily involve ourselves in the supply of prototype and bespoke testhead interface products, and, mechanical products that facilitate and support Motherboards, DUT Loadboards and Probecards; though we have also been involved in aerospace and military work. .......putting it all together, and, where possible testing prior to shipping. We are also experienced in repairing ATE Testhead Interface Products. We have an experienced team of buyers that specialise in electronic component sourcing and planning, liaising closely with customers and our internal design staff to ensure efficient and timely production. 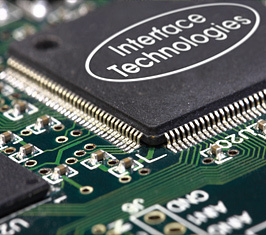 We work closely with partners for the supply of Printed Circuit Boards and items that are outsourced. 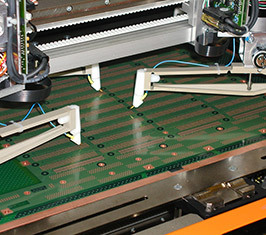 We solder-reflow most of our PCBs, but, also have the ability to complete high quality hand solder. Our workshop facilities allow us to solve problems we find quickly and confidently. No product leaves our facility without the most rigorous inspection, adherence to relevant IPC standards and the ISO9001:2008 standard. Our staff have vast experience in providing the following specialist services to meet customer demands.